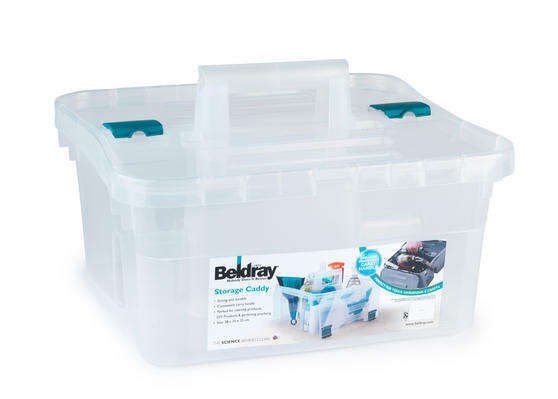 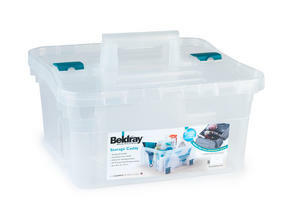 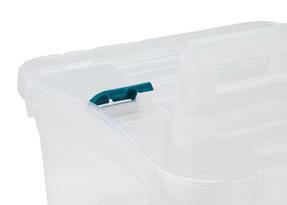 Store cleaning products, gardening tools or hobby and DIY items with ease using this brilliant Beldray caddy. A handy all in one storage solution, it has a central handle which makes it easy to carry and the lid clips firmly shut so you can store your products without worrying about spills. 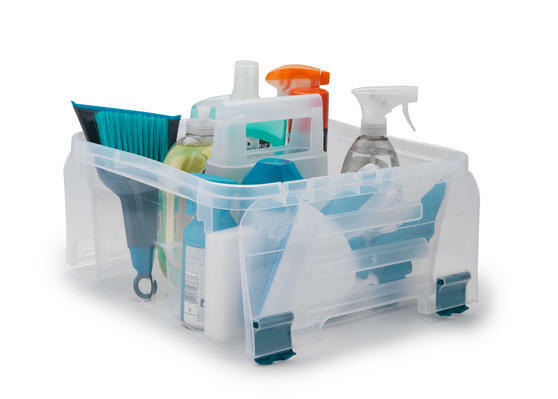 Measuring 38l x 35w x 25h cm, it is easily stackable so you can keep your home neatly organised, while the clear plastic design make the contents easy to see so you can quickly select the item you need.